Our five partner practice offers a full range of medical services to the communities of South Bradford. Our one male and six female doctors have extensive experience within the NHS, and hold various surgeries throughout the day, every weekday in our purpose-built medical centre on Rooley Lane. Bowling Hall Medical Practice and Highfield Medical Practice have recently joined together, and are collectively known as Bowling Highfield Medical Practice. 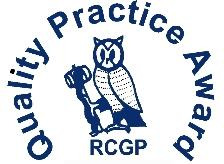 The practice has a strong training and development ethos demonstrated by its commitment to staff development and being both a training and teaching practice for doctors and medical students. This ethos enables the practice to be continually innovative, keeping up to date with current medical advances. The doctors are supported by an experienced team of healthcare specialists and nurses who ensure that our patients receive the highest possible quality of care and treatment they require. You can leave a review of our services on our NHS choices profile by clicking here. We greatly value your feedback. “A progressive medical practice committed to growth through a team approach providing excellent patient care"